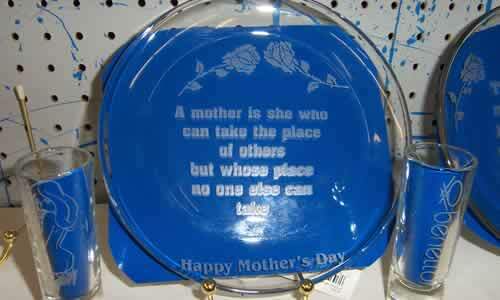 Sorry, We are currently not accepting jobs for engraving of any type. Please check back later. 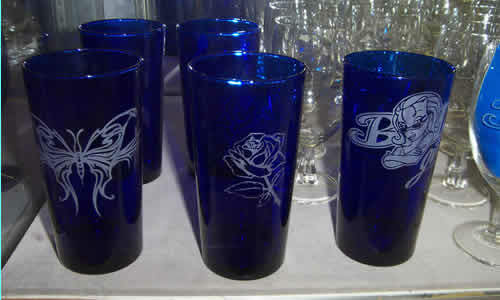 We can etch designs in glassware. Also in metal (example : wedding knives)Aproximate cost is $6 per glass not including the glass.A purchase in quantity may lower that price.Orders usually ready for pickup within 1 or 2 days. Usually customer supplies the glass. Looking for a cheap alternative? We can print decals for the glasses. The decals are very sticky and will stick on the glass. 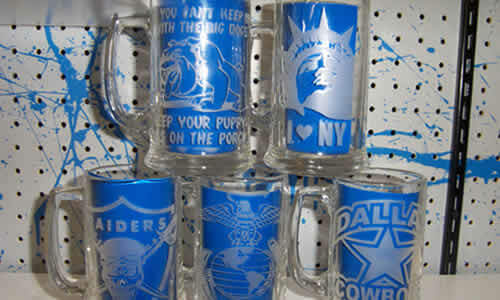 We've did glasses for Sweet 16 parties, Weddings, and more. Jobs like this start at $20 - $28.